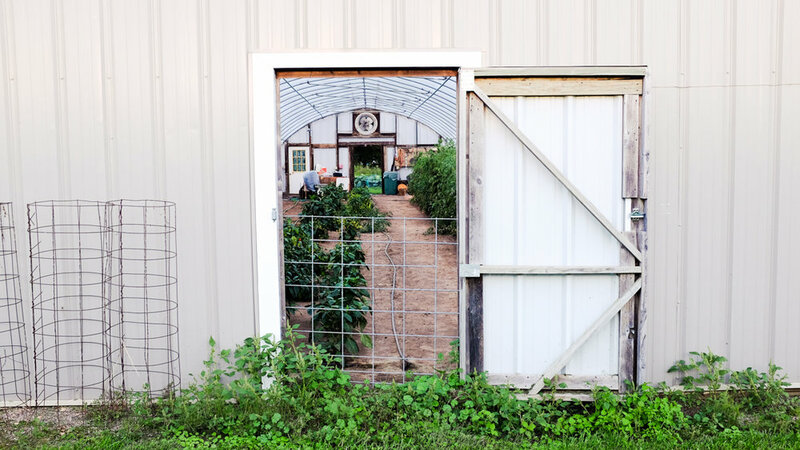 Our day started bright and early with coffee and a simple breakfast followed by an invigorating class by Sean Ward titled “Awaken to this day.” Sean Ward is owner and teacher at SpiritWonk and his class was an amazing way to start the first “real” day of Harvest Moon Yoga Festival. 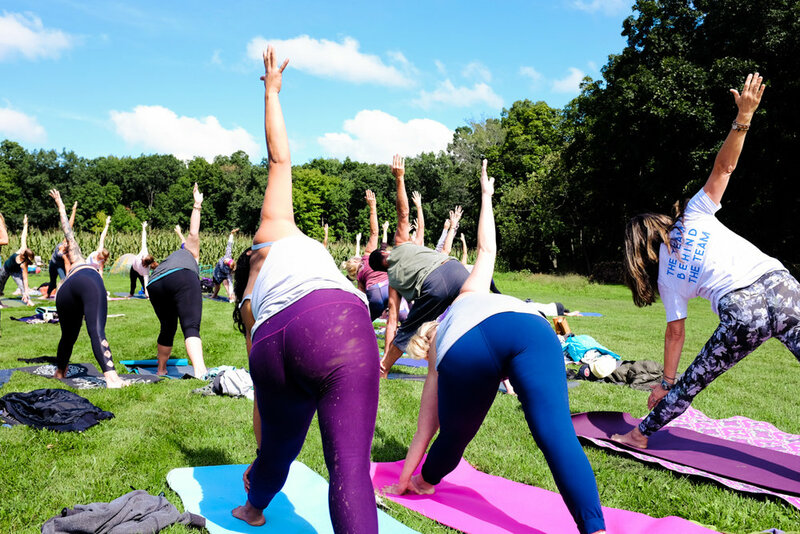 There was a lot for us to do and enjoy at Harvest Moon Yoga Festival. 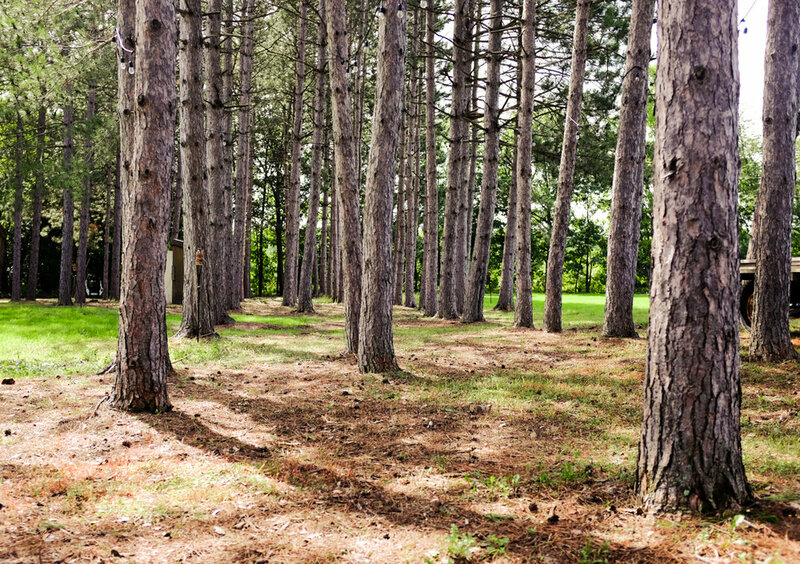 Nature to explore, classes to take, and friends and family to spend time with. After our morning class we spent a little time wandering around, playing with the kids, and checking-out the paddle board class by Amy Speed. 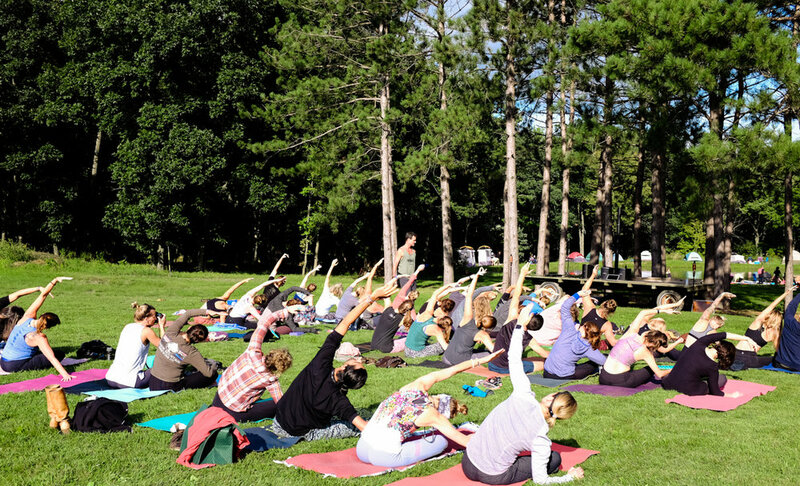 One of our favorite classes at Harvest Moon Yoga Festival was “Bending the Spine: Benefits of Forward and Backward Bending” by Ida Jo and Scott Lamps who teach Ghosh linage yoga. They are both amazing teachers who studied extensively with teachers like Tony Sanchez. 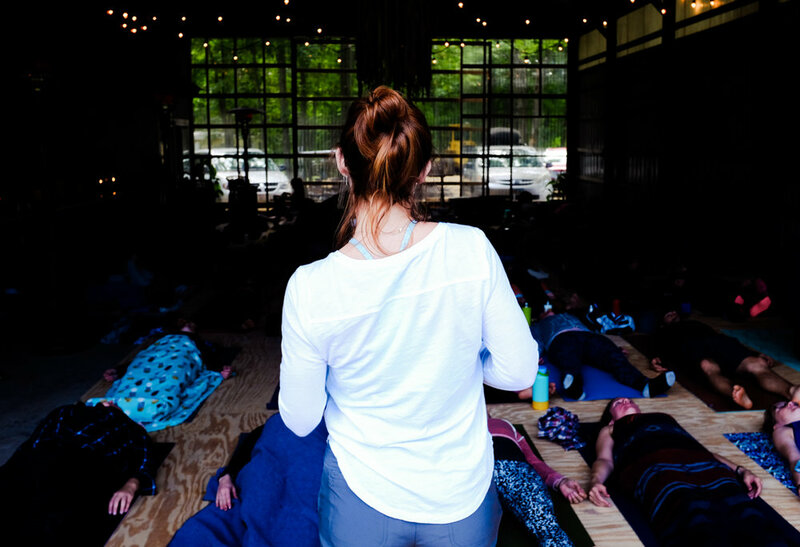 They led an incredibly interesting and educational class focused on techniques for creating movement in the spine for better posture, digestion and energy. We loved it. Since we were fully engaged in this class, only one photo was taken. 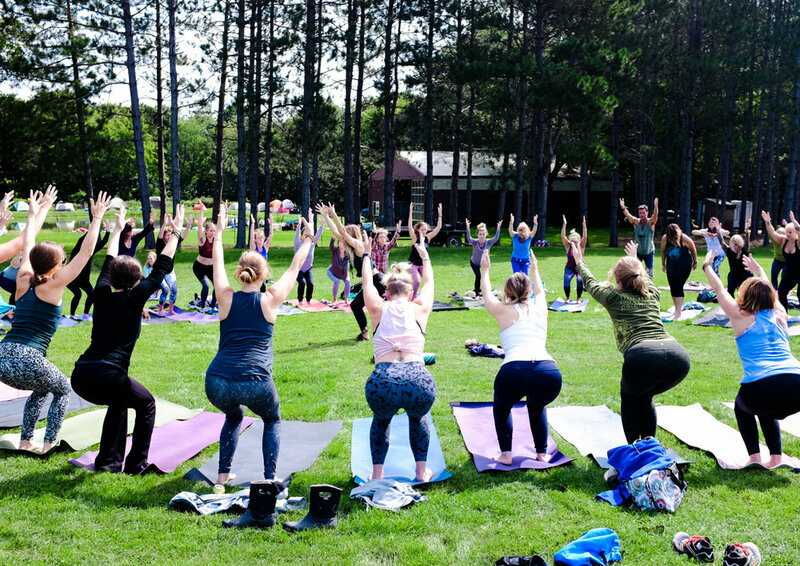 Day two of Harvest Moon Yoga Festival was FILLED with great yoga, food, family, and just hanging out and enjoying the country vibe and fresh air of northern Wisconsin. 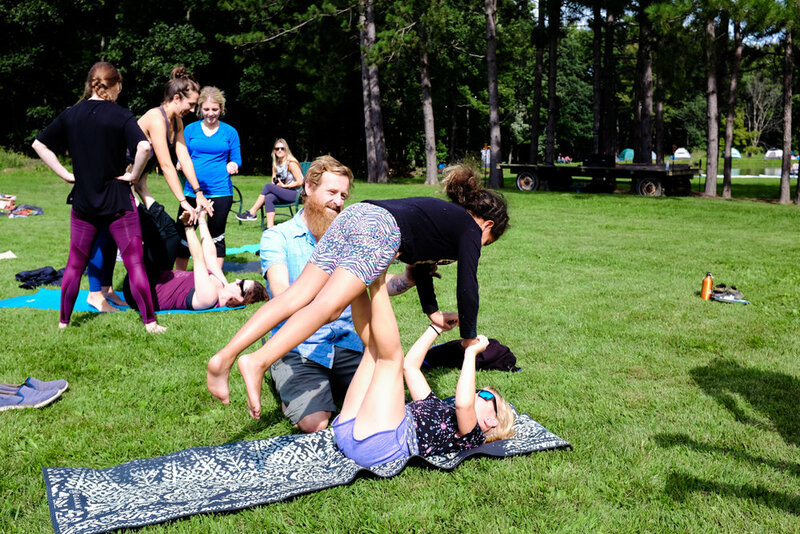 With so much yoga on offer it was hard to choose, but we did a lot, and specifically enjoyed the Acroyoga class by Stephen Balsley and Tiffany Jo. 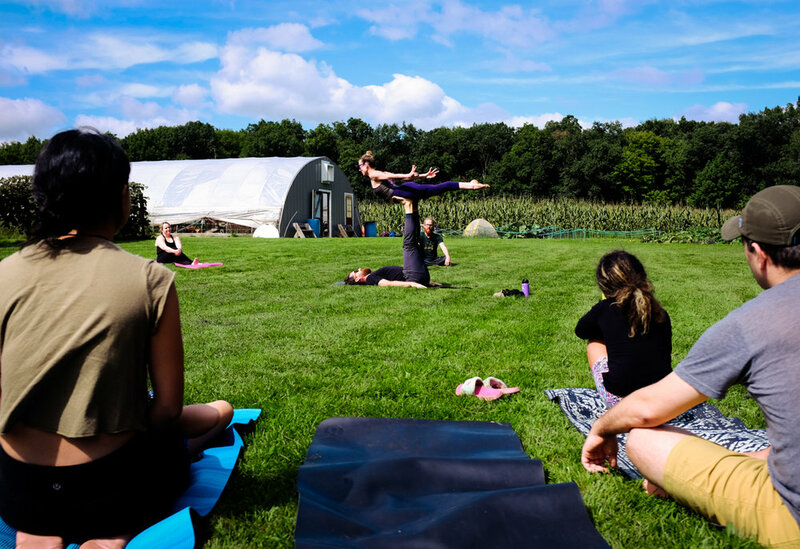 They led us through a beginners course in flying and playing with Acroyoga that was a ton of fun for everyone. We especially enjoyed meeting our new friend Jenna Lewins who was teaching yoga at the festival as well! We finished off the afternoon with some amazing arial performances by Jess Clark and her team. It was fantastic and really nice to sit and appreciate the talents of others as we watched the sun set over the cornfields.